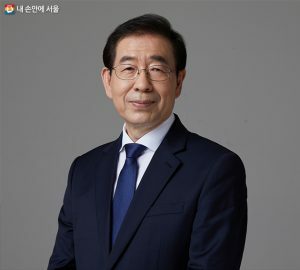 SEOUL, SOUTH KOREA, March 14, 2019 – Together with the Korea Smart Card, the Seoul Metropolitan Government applied artificial intelligence (AI) technology, the key to the Fourth Industrial Revolution, to taxi service for the first time in Korea. It is a new attempt that predicts the demand of taxi in real time and bring taxi drivers together to places where there are many potential passengers. It is expected that this will mitigate order imbalance that has been considered as one of the causes which made it difficult to catch a taxi. AI taxi system analyses the information on taxis’ pick-up and drop-off, weather, demographics, commercial areas, and public transportation that are obtained through the Seoul Taxi Information System, or STIS to increase its accuracy. The two organizations analyzed 200 million of big data collected from January 2017 to July 2018 and estimate the demand from November 6 through 11, 2018. After comparison of the estimated demand and the actual demand, the accuracy turned out 97.2 percent. A total of 380 AI taxis from five taxi companies have been pilot-running since November 2018. Based on the feedback of the trial operation, the system will be improved and expanded to all taxis in Seoul. According to Jinhwa Co., Ltd, one of the taxi companies that utilizes AI taxis, the biggest number of passengers use the system from 4am to 7am, and from 9am to 12pm when it is hard to get a taxi. After the introduction of AI taxis, the number of sales has increased by 21 percent from 20.9 cases per day to 25.2 cases. In particular, it is expected to improve the ability of new taxi drivers who have not sufficient know-hows and experience. The Seoul Metropolitan Government said on February 16 that it needs continuous monitoring because there is taxi fare adjustment that is a big variable. Based on the feedback of the trial operation, the system will be improved and expanded to all taxis in Seoul.